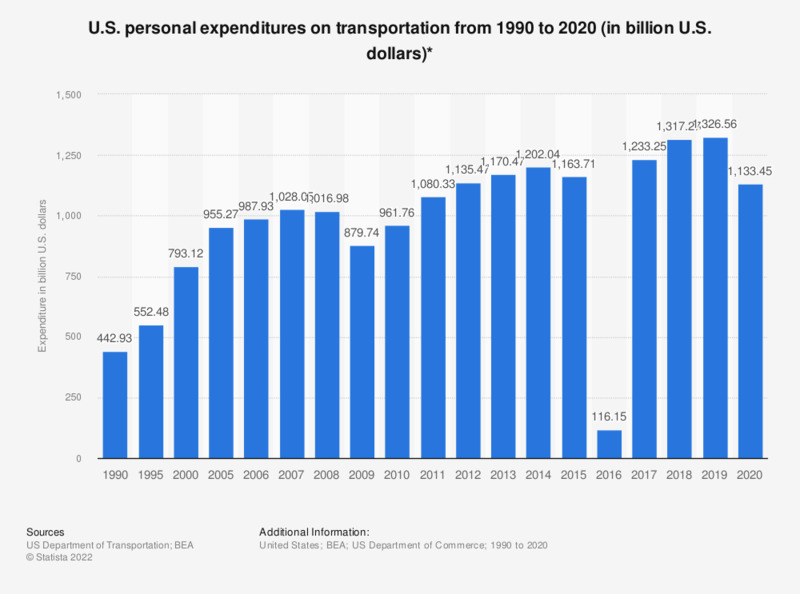 This statistic represents US personal expenditure on transportation from 1990 to 2017. In 2017, this figure amounted to approximately 1.19 trillion U.S. dollars. The data include user-operated transportation, purchased intercity transportation, and purchased local transportation. Includes user-operated transportation, purchased intercity transportation, and purchased local transportation. Values in current U.S. dollars.